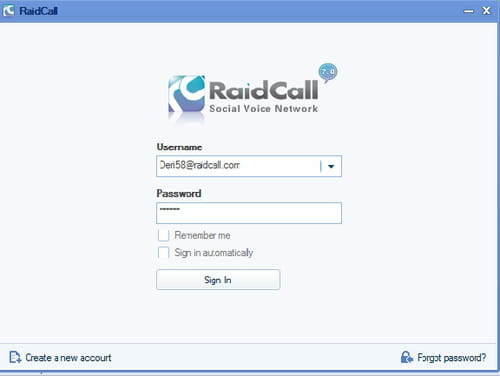 RaidCall us a free and lightweight VoIP solution that allows you to set up and intiate group communications (audio and IM). It is perfect for people who play online games or who need to transmit information within a specific group. Integration with Facebook and Youtube. Fill in the fields with the appropriate information and click on "Create my Account". 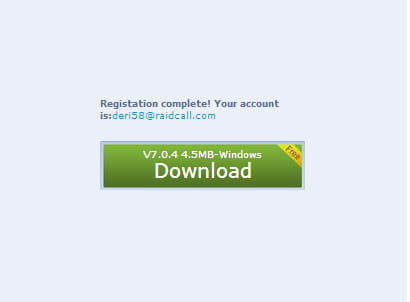 Once installed, double click on RaidCall.exe to launch the program. 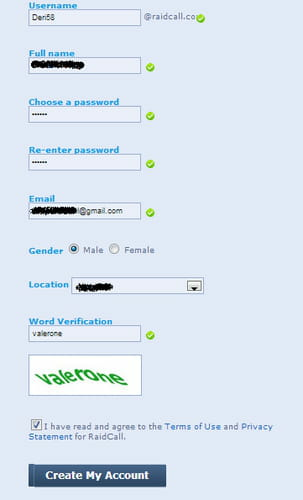 Sign-up using the Username and Password previously defined (when creating your account). From there you can either create your own group or join an existing online community. Published by deri58. Latest update on November 16, 2012 at 09:07 AM by deri58. This document, titled "RaidCall - Introduction and first use," is available under the Creative Commons license. Any copy, reuse, or modification of the content should be sufficiently credited to CCM (https://ccm.net/).